Hey, everyone! You may recognize me from my main site The Taylor House where I share easy recipes for busy Mom’s. This site is a new project of mine where I’ll be bringing you simple healthy recipes, which is quite a bit different than my main site where everything is about butter and sugar! 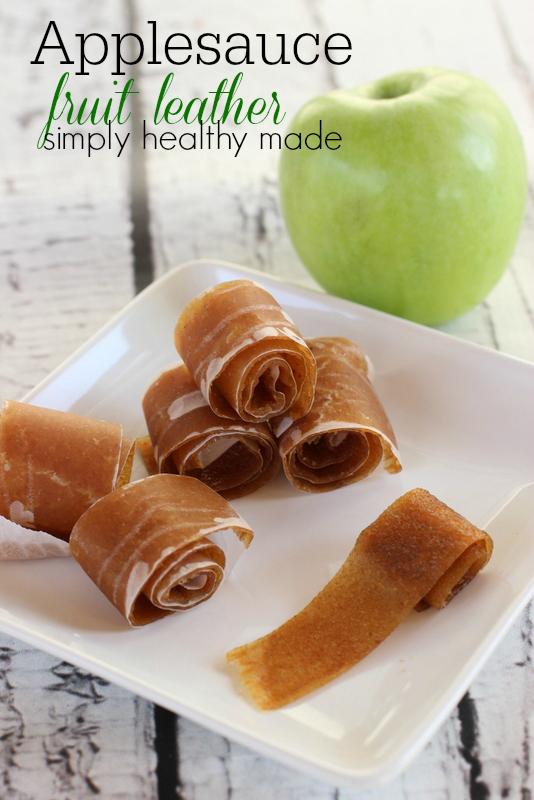 Today I have a really easy Applesauce Fruit Leather recipe to share with you, the most difficult part about this recipe is that it takes around 4 hours to make. It bakes low and slow but if you have the time to make it, it’s super easy and you only need one ingredient! Yep, JUST ONE! I didn’t know you had a second site! Such a great idea to separate your healthy foods and decadent ones. I’m planning on using this recipe in a round up if that’s okay. Just using a photo and linking back. I’m so curious…how did you get it to hide part of the recipe on a single page? Or was that just pinned from an archive page?